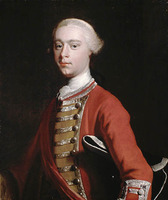 BASTIDE, JOHN HENRY, military engineer, army officer; b. c. 1700; parents and place of birth unknown; d. probably 1770. While still a boy John Henry Bastide was commissioned an ensign, on 23 Aug. 1711 (o.s. ), in Colonel John Hill’s Regiment of Foot. His commission was renewed in 1715, and on 25 Feb. 1717/18 he purchased the rank of lieutenant in Hill’s regiment. For well over 20 years he remained a lieutenant, probably in part because of his decision to serve as a military engineer. The status of engineers had never been properly defined in the British army and they frequently found that their appointments were not recognized as regular military appointments. They had therefore to secure commissions in regiments in addition to their engineering warrants. An officer such as Bastide, who placed engineering over regimental duties, could not expect, and probably would not seek, rapid promotion. Bastide served in Scotland for a time and from 1726 to 1739 directed “the works and fortifications at Jersey and Guernsey.” In 1740 he was appointed chief engineer at Annapolis Royal, Nova Scotia, and went to his new post there. The major portion of his career was spent thenceforward in North America; he was especially involved with Nova Scotia fortifications and, for almost three decades, the French fortress at Louisbourg, Île Royale (Cape Breton Island). He drew a plan of Louisbourg as it was in 1734 which was accurate enough to be employed by 20th-century historians in their reconstruction of the fortress’ history. It is not known, however, when or how he came to draw this plan. Before the outbreak of war between England and France in 1744, Bastide, probably on orders from the Board of Ordnance, assessed the measures necessary to rebuild and protect Fort William and Mary (New Castle, N.H.). 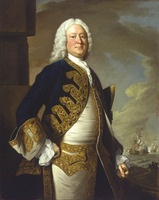 In 1743 and 1744 he also aided Governor William Shirley of Massachusetts in the construction of fortifications at Castle William (Boston), Marblehead, Cape Ann, and Falmouth in Casco Bay. Fortifications for Nova Scotian outposts such as Annapolis Royal also grew in importance, and when war came Bastide was sent there to shore up its defences. By July 1744, Governor Shirley reported, Bastide had abandoned plans to erect new fortifications and was concentrating on putting “the old ones into the best repair they are capable of.” The fortifications proved adequate, for Annapolis Royal withstood several French and Indian attacks in the following months. Bastide was promoted “Engineer in Ordinary” in 1744 and held the military rank of lieutenant in Sowles’ regiment. To make Louisbourg defensible Bastide carried out limited repairs. By late October 1745 he provided the Board of Ordnance with “a plan of his projections” for the restoration of the defences, which would have required an expenditure of £9,000 8s. 6d. The board, however, claimed it was a hasty submission which had not properly assessed the cost of colonial labour or the availability of materials. Despite this rebuke Bastide was warranted as chief engineer of Louisbourg on 16 Oct. 1745. He also was given a company in a new regiment, to be raised under the command of Governor Shirley. 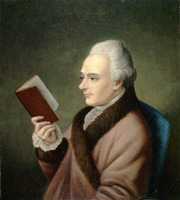 Bastide was a friend of the Boston merchant, Thomas Hancock, and, no doubt through Bastide’s influence, Hancock and Charles Apthorp of Boston were made joint agents and suppliers for the fortress in December 1746. Capping this phase of Bastide’s career was his appointment as a director of the corps of engineers on 2 Jan. 1748/49. The return of Louisbourg to French control in 1749 apparently resulted in Bastide’s assuming the post of chief engineer at Annapolis Royal, for in 1750 he was receiving “20s/ a day as Director, 20s/ as Chief at Annapolis, and 10s/ in lieu of a clerk.” He was in England from August 1751 to October 1754, when he went to Minorca to serve as chief engineer at Port Mahón (Mahón). This appointment was ill-fated from its beginning, with Bastide being chosen over the nominee of General William Blakeney, the governor of the colony. In April 1756 the French attacked Minorca and the defences proved woefully inadequate [See Barrin]; Bastide, by now apparently “too old for his post, and crippled with gout,” was unable to cope with the assault. The British capitulation on 29 June ended a fiasco in which several other officers showed negligence and incompetence [See Byng]. Bastide then returned to England. In 1757 the military status of the corps of engineers was recognized and its officers received military rank. On 14 May Bastide was promoted lieutenant-colonel. The following year he was appointed chief engineer in Jeffery Amherst*’s expedition against Louisbourg and returned to familiar ground. 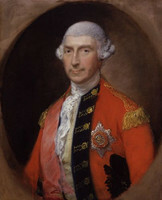 In May 1758 he was at Halifax preparing for the assault and by the end of June was with the British force before Louisbourg. Bastide differed with his commanding officer over the best approach for the attack. 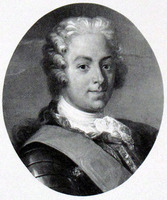 Amherst wrote that on 17 June he, Bastide, and two other officers reconnoitred the ground around Louisbourg and “Colonel Bastide was determined in his opinion of making Approaches by the Green Hill . . . .” General Wolfe’s rapid progress in the area northwest of Louisbourg, however, caused the major British pressure to be exerted from this direction instead of from Green Hill, southwest of the town. At a later stage General Wolfe made serious charges concerning “the ignorance and inexperience of the Engineers,” asserting “It is impossible to conceive how poorly the engineering business was carried on here.” Bastide was proceeding slowly and methodically with the siege operations and no doubt the impetuous Wolfe directed many of his barbs at the aging engineer. In any case on 8 July “Col Bastide got a Contusion by a Musket Ball on his Boot which lay him up in the Gout.” Major Patrick Mackellar* then took over the direction of the engineering phase of the attack. Little is known concerning the last decade of Bastide’s life. In February 1761 he was made a major-general and soon received orders to supervise the construction of fortifications at Halifax; he was engaged in this work until July 1762. At that time it was feared that Halifax was about to be attacked and Bastide took a major role in arranging emergency defence measures. The final result was a system of rough field works made of earth and sod. Bastide returned to England in October 1762. He was promoted lieutenant-general in April 1770 and appears in the War Office list of officers for that year but not in 1771; in all probability he died in 1770. A memorial of 1766 says that he had three sons and two daughters. Harvard University, Baker Library, Thomas Hancock papers (contain letters of Bastide); Harvard College Library, ms Can 62, bms Can 3 (Bastide mss). PAC, MG 11, Nova Scotia A, 27, pp.14–15; MG 18, L4, pkt.65, p.23; O9; MG 21, H10. PANS, RG 1, 12; 13; 19, nos.7, 8. PRO, CO 5/53, ff.176, 182–92v; 5/60, ff.25–25v, 141–41v, 143, 147–47v, 149, 151; 5/62, ff.282, 367 (copies in PAC, MG 11). ... Amherst, Journal (Webster). Army list, 1769, 3; 1770, 3, 176; 1771. Correspondence of William Pitt (Kimball). Correspondence of William Shirley (Lincoln), I. Mass. Hist. Soc. Coll., 6th ser., X (1899), 238, 239, 256, 302, 303. N.S. Archives, I, 702–6. [William Pote], The journal of Captain William Pote, jr., during his captivity in the French and Indian war from May 1745, to August 1747, ed. J. F. Hurst and Victor Paltsits (New York, 1896), xvi, 173. PRO, Acts of P.C., Col., 1720-45, 731–33; JTP, 1741/42–1749, 205. English army lists (Dalton), VI, 79, 80, 389. Dalton, George the first’s army, I, 300.. ... W. T. Baxter, The house of Hancock; business in Boston, 1724–1775 (New York, 1965). A. J. Kerry and W. A. McDill, The history of the corps of royal Canadian Engineers (2v., Ottawa, 1962–66), I. J. C. Long, Lord Jeffrey Amherst: a soldier of the king (New York, 1933). McLennan, Louisbourg. Harry Piers, The evolution of the Halifax fortress, 1749–1928, ed. G. M. Self and P. R. Blakeley (PANS pub., 7, Halifax, 1947). Whitworth Porter, History of the corps of Royal Engineers (3v., London, New York, 1889–1915), I. Rawlyk, Yankees at Louisbourg. G. A. Wood, William Shirley, governor of Massachusetts, 1741–56 (New York, 1920)..
William G. Godfrey, “BASTIDE, JOHN HENRY,” in Dictionary of Canadian Biography, vol. 3, University of Toronto/Université Laval, 2003–, accessed April 21, 2019, http://www.biographi.ca/en/bio/bastide_john_henry_3E.html.